India has very few cellists. Without lower strings, we cannot make orchestral or chamber music. 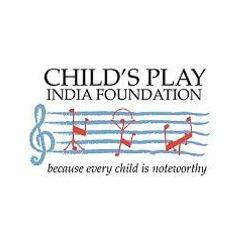 At Child&apos;s Play India, we are hoping to start a cello revolution by giving as many young children as possible, the opportunity to learn this beautiful instrument. Because there are so few qualified cello teachers in India, we are currently bringing in experienced teachers from overseas. In 2018, we started a successful project with 24 children (ages 6 -18) and some adult learners (including mothers of some of our students!) who are thriving with their lessons. You can help us continue this ambitious project - we cannot do it without your help. The cello project is having a huge impact on the lives of our students and we want to reach out to even more children this year. With your help, we can do this.